You wouldn't know it by the beautifully renovated rooms, modern amenities and enchanting theming throughout the three towers, but the Disneyland Hotel is celebrating its 60th birthday this year right alongside Disneyland park and she looks fabulous! When I told the kids we'd be staying at the Disneyland Hotel during our recent visit to attend Mickey's Halloween Party they were beyond thrilled! I can think of at least 5 reasons why a vacation at the Disneyland Hotel is pure magic. The headboard fireworks display was a favorite. The very first thing they noticed when we entered our room was the headboard and pillows. Carved into the wooden headboard is Sleeping Beauty Castle and embedded into the headboard are fiber optics that provide a beautiful fireworks show accompanied by music. All you have to do is flip the Tinker Bell switch on the lamp and the magic begins. The kids fell asleep to the sound of "A Dream is a Wish Your Heart Makes" and the twinkle of the lights every night. The rooms are incredibly spacious and the beds are super comfortable, perfect for resting after a day of fun at the parks. The room decor is a mixture of nostalgia and whimsy yet practical enough to provide truly necessary amenities, such as a refrigerator and desk space with several outlets for those of us that work while we travel. I love the classic black and white photos in the room paying tribute to Walt Disney and his legacy. Everything about our room was absolutely charming. Especially the late-night dessert delivered by room service! The Disneyland Hotel also features a Business Center and a Fitness Center. Additionally, as a guest of the Disneyland Hotel you can visit the Mandara Spa at Disney's Grand Californian Hotel & Spa for a lovely massage. Kids between the ages of 5 and 12 can enjoy Pinocchio's Workshop, a licensed childcare facility packed with fun for the kids so the grown ups can enjoy a night out. One thing I love is that the bathroom is separate from the main sleeping area. This enables me to wake up early and shower without waking up the kids. Additionally, the bathroom has two doors: a main one for the entire sink/shower/toilet space and one just for the toilet. This is also something I look for when vacationing because it offers everyone in the room privacy while still allowing others to carry on with the sink or vanity area as necessary. Perfect for a runDisney race! The kids had fun spotting the hidden Mickeys and magical touches throughout the shower and vanity area and I loved the H2O products! Can you spot all the hidden Mickeys? Once we settled into our rooms the next logical stop for the kids was to visit the pools. How could you not be enticed by the waterslides at the Monorail Pool!? Modeled after the original Mark 1 Monorail trains, the Red and Yellow slides were a hit with the kids. After they played there for a bit, they headed over to the E-Ticket and D-Ticket pools for more fun. Meanwhile, I ordered a tantalizing lunch for us from the adjacent Tangaroa Terrace. If you're looking for spa time and posh amenities at the pool, the Disneyland Hotel has them. There's a Minnie Mouse-themed outdoor spa, which matches a Mickey-themed spa and six new cabanas that each feature a flat screen TV, refrigerator, safe, phone, and ceiling fan. The Disneyland Hotel has dining options for every budget and every taste. My favorite locations are Trader Sam's Enchanted Tiki Bar and Tangaroa Terrace, both based upon the Polynesian / Tiki architecture that Walt was fond of during the era in which Disneyland was built. Both located adjacent to the pool area, Tangaroa Terrace features Island-inspired breakfast, lunch and dinner as well as convenient and healthy "grab and go" items. Trader Sam's Enchanted Tiki Bar is home of my favorite cocktail, the HippopotoMai-Tai, and also has lunch and dinner. Bonus: Food, drinks and cocktails can be ordered from a Cast Member poolside while you relax. For character meals, Goofy's Kitchen is the perfect combination of food, fun and entertainment for the younger set. For those special occasions, or when you want an amazing grown-up meal, DO visit Steakhouse 55. The food and ambiance are simply perfect for a romantic night out. With the Downtown Disney District, Disney's Paradise Pier Hotel, Disney's Grand Californian Hotel & Spa and both Disneyland and Disney California Adventure park just footsteps away, the Disneyland Hotel location is beyond ideal. We love that the Extra Magic Hour gave us the opportunity to enjoy attractions that do not have the FASTPASS option, like Toy Story Midway Mania! at Disney California Adventure Park. We were also able to obtain a World of Color FASTPASS before the park opened to the public. Utilizing the "secret" Grand Gate entrance into Disney California Adventure via Disney's Grand Californian Hotel & Spa saved us a few steps, allowed us to take breathtaking early morning photos, got us a World of Color FASTPASS and allowed us to ride our favorite attractions more than once that morning. If you followed along with me on Periscope, you watched us enjoy our Extra Magic Hour live! 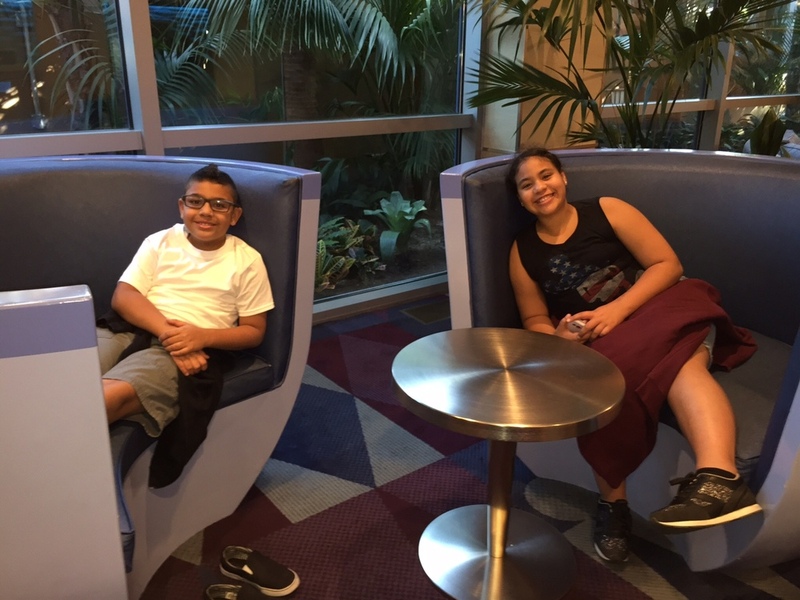 From check-in to check-out, our stay at the Disneyland Hotel was filled with the special kind of magic that makes lasting memories. From the Bell Desk to the Lifeguards, the Disneyland Hotel Cast Members took their time to answer my questions, handle our luggage with care, deliver our midnight snack with a smile and provide the careful attention that separates Disneyland from any other vacation destination. You simply cannot get this level of service and attention outside of Disney. The Disney tradition of providing excellent guest service shines just as brightly now as it did 60 years ago when the Disneyland Hotel opened. If you are planning a vacation to the Disneyland Resort for the Diamond Celebration (which runs through September 2016), be sure to visit Disneyland.com or call (866) 43-DISNEY for booking information. 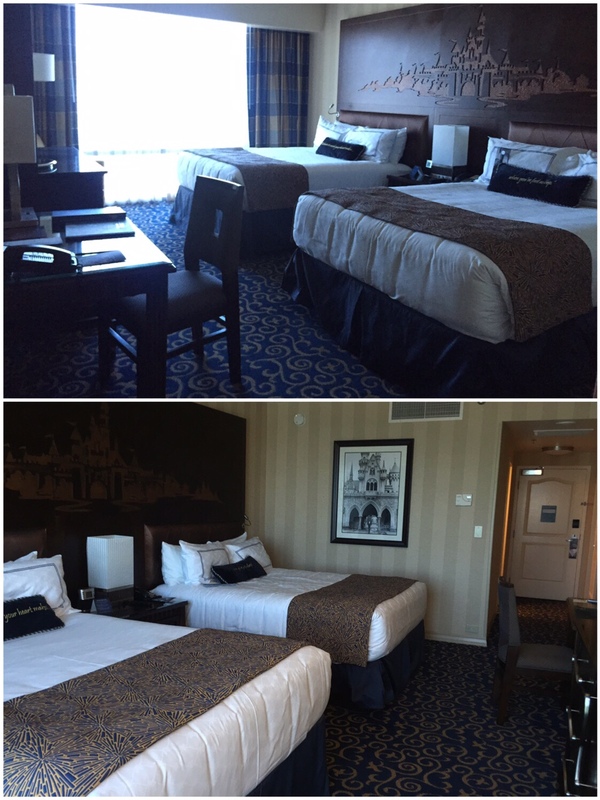 Disclosure: I was invited to the Disneyland Hotel as a media guest of the Disneyland Resort. Our room was complimentary, however all opinions and tips are my own and those of the children.